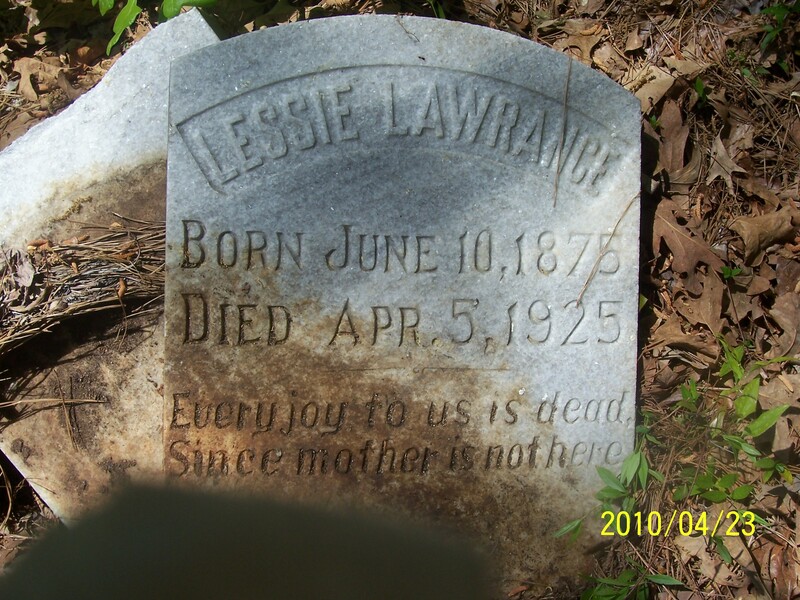 25 April 2010: Touched by the Ancestors ~ BREWER/LAWRENCE burial ground found in GREENE COUNTY, GA!! This past Friday me, my brother Bernard, and my sister/friend/cousin Luckie of Our Georgia Roots headed to Greene County and Washington-Wilkes County on a research road trip. 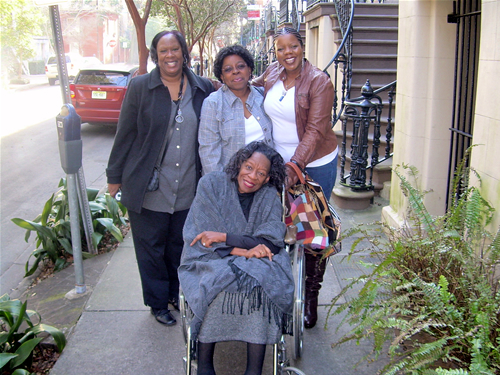 My paternal grandmother, Fannie Mae LAWRENCE, her mother Lessie BREWER, her mother Fannie BREWER, and her mother Eliza ASKEW all have roots in Greene Co. So does my great grandfather, George LAWRENCE, and his parents James LAWRENCE and Pleasant LITTLE. The thought of exploring the area these ancestors once called home was extremely exciting, and my spirits were high on just the anticipation of that. The beautiful weather held the promise of good things to come. The night before the trip, Luckie and I had one last phone conversation going over our plans for the next day. Luckie’s home ground is Washington-Wilkes, so she was excited to be returning after a long absence. You can read Luckie post; Saturday Musing ~ Ain’t Nothin’ Like Going Home! for a view of our trip as only Luckie can tell it. I wasn’t feeling too much apprehension knowing I would be in the company of this seasoned researcher. Luckie’s advice – connect with the locals; once they know you have family from the area, they are more than happy to talk and share information. Now, you have to know me, but this is way, way out of my comfort zone. This Luckie knows all too well, but she was having none of it, and was not buying my “That’s just not me” and “I’m not comfortable approaching strangers” excuses. 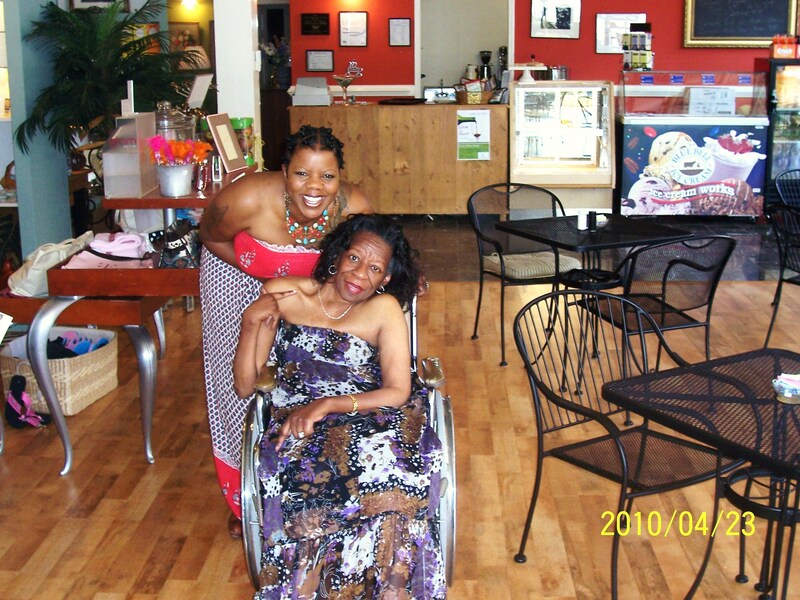 After a few more words of encouragement and warnings of missed opportunities, she left me to my thoughts. Friday morning before leaving, I grabbed my Brewer and Lawrence folders, and printed out death certificates for Fannie Brewer and her son Green Brewer. According to their death certificates, both were buried in “Hudson Grove Cemetery”. I thought maybe we could find the cemetery and possibly locate their graves. Riding around exploring downtown Greensboro was indeed a treat. The small town country look and feel was just what I’d hoped to see. 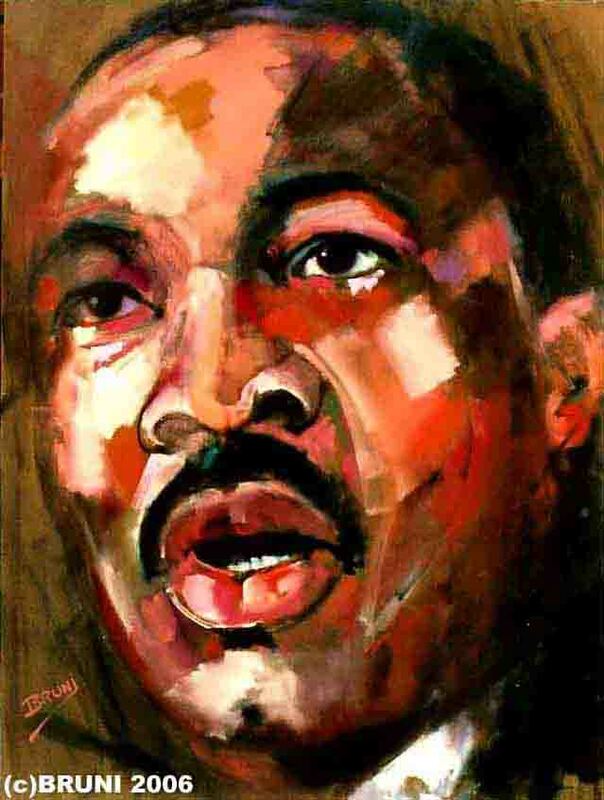 I felt a tingle of something that told me the ancestors were stirring. 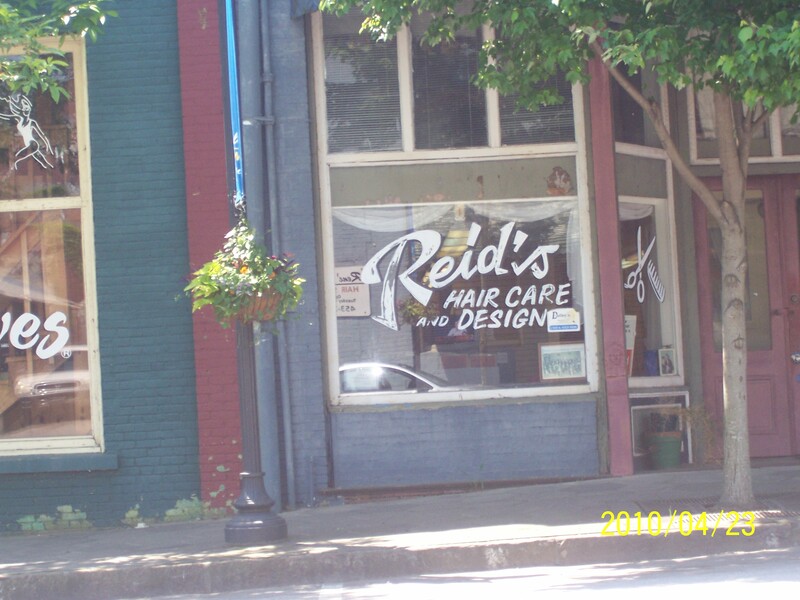 “Oh, look Reid’s Beauty Shop. I’ve got the REID/REED surname in my tree.” Luckie said “You want to stop and see if they know your folks.” I said, “No, but let’s get a picture.” Was that a missed opportunity for a family connection? Maybe it was. Earlier, we had passed a small group of elderly men chatting in a parking lot, but passed without stopping. After striking out at the Greene County Historical Society and the local History Museum, we headed back to that group of men. Luckie introduced us, and we asked if any of them knew of Hudson Grove Cemetery. Yes, they did but, it would not be easy for us to find. One of the gentlemen, Minister Marshall BAUGH, offered to ride with us as a guide, if we “trusted him”. We did. It just felt right. The Greene County countryside was beautiful; wide open fields and lots of cows. I was hypnotized by the view, and filled with anticipation. 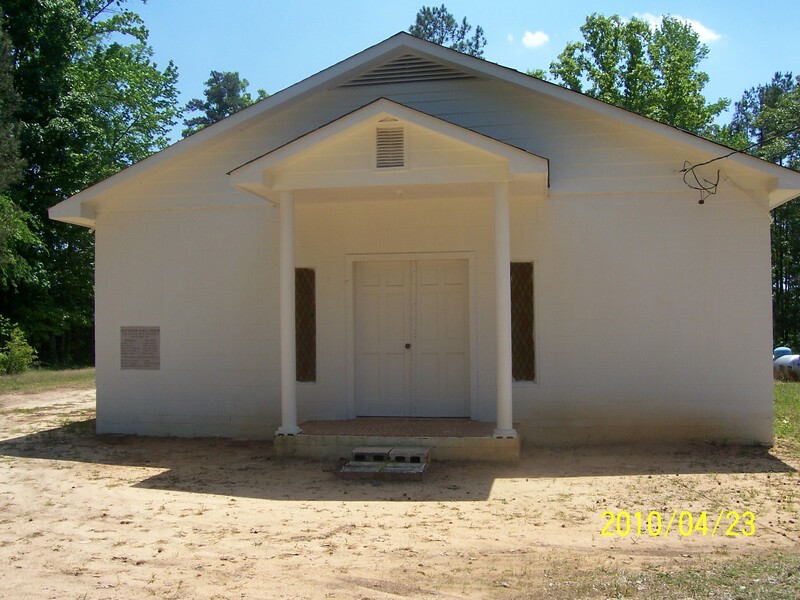 Were we really going to the burial place of my Greene County ancestors? Minister Baugh talked all the way in true southern minister-style as we traveled the winding road. Turning onto the dirt road to the church, we were finally there. He was right; we never would have found it by ourselves. It was deep in the country. The cemetery was located behind the church. Luckie and Bernard jumped out to explore while Minister Baugh and I sat in the car and talked. He told me the actual name of the church was Hutchinson Grove A.M.E. and it currently had only one member; he wasn’t sure if services were still held there-maybe once a month or so. The cemetery is Hutchinson Grove Cemetery, not Hudson Grove as indicated on the two death certificates. It showed signs of neglect, but was fairly well kept. I watched anxiously as Luckie and Bernard explored, and before long was lost in thought. The ring of my cell phone broke the silence of my daydreaming. It was Bernard screaming that he had found a headstone for “LESSIE LAWRENCE!” The excitement in his voice spoke volumes. Not only that, he continued, there were other BREWERS there as well. We guessed it must have been a family plot. There was no Fannie or Green for the death certificates I had printed out earlier, but still what an incredible find! 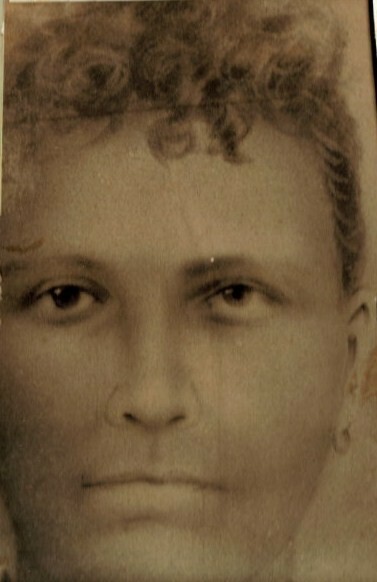 Lessie (BREWER) LAWRENCE was our paternal great grandmother. That’s her picture below, and below that the photo of her headstone. We did not come equipped with a spray bottle of water to clean the dirt from the headstone, but it is still very easy to read. Along with Lessie, there were 11 other headstones. After consulting my family tree, and searching records on Ancestry, I can confirm that 9 of those are BREWER descendants-no doubt about it. There are two surnames, HUTCHINSON and SMITH that are not familiar to me. They are most likely family I have yet to discover. I suspect that this may have been the Brewer family church. The Hutchinson surname, which is also the name of the church, opens another avenue of family history to pursue. I am anxious to get started on that journey. It was a beautiful day, and a wonderful trip. Minister Baugh was as nice as can be, and the epitome of small town, southern hospitality. We were blessed to meet him. We will definitely be returning very soon. The next time you take a research trip to an ancestral hometown, stop and strike up a conversation with some of the locals and tell them who your folks are. As I learned on this trip, you never know who you might meet or what you might find. You might just be ~ Touched by the Ancestors!